In this tutorial, you will learn how to train a Convolutional Neural Network (CNN) for regression prediction with Keras. You’ll then train a CNN to predict house prices from a set of images. Part 1: Basic regression with Keras — predicting house prices from categorical and numerical data. 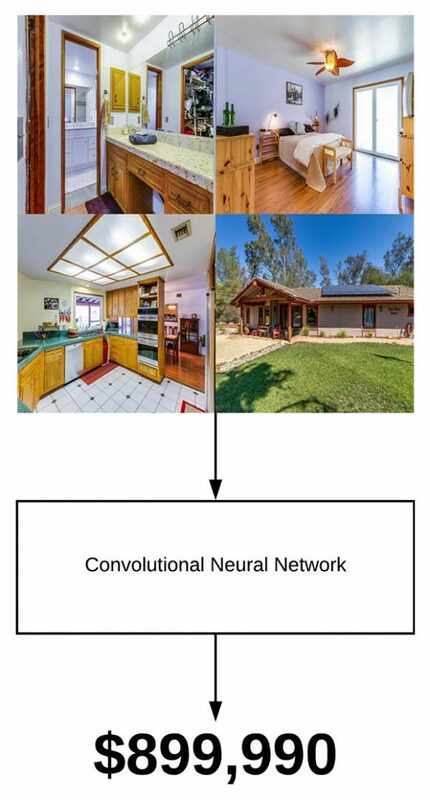 Part 2: Regression with Keras and CNNs — training a CNN to predict house prices from image data (today’s tutorial). Part 3: Combining categorical, numerical, and image data into a single network (next week’s tutorial). Today’s tutorial builds on last week’s basic Keras regression example, so if you haven’t read it yet make sure you go through it in order to follow along here today. By the end of this guide, you’ll not only have a strong understanding of training CNNs for regression prediction with Keras, but you’ll also have a Python code template you can follow for your own projects. To learn how to train a CNN for regression prediction with Keras, just keep reading! In the first part of this tutorial, we’ll discuss our house prices dataset which consists of not only numerical/categorical data but also image data as well. From there we’ll briefly review our project structure. Finally, we’ll implement our training script and then train a Keras CNN for regression prediction. We’ll also review our results and suggest further methods to improve our prediction accuracy. Again, I want to reiterate that you should read last week’s tutorial on basic regression prediction before continuing — we’ll be building off not only the concepts from last week but the source code as well. Replacing it with a fully-connected layer with a single node along with a linear activation function. Training the model with a continuous value prediction loss function such as mean squared error, mean absolute error, mean absolute percentage error, etc. Let’s go ahead get started! 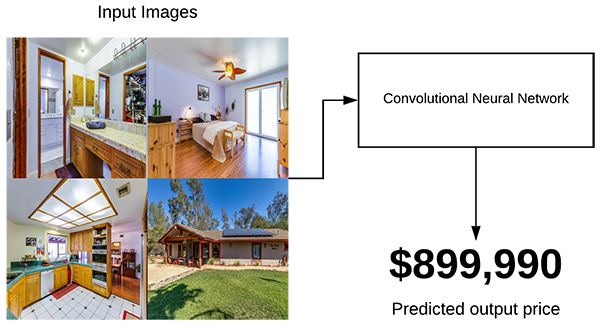 Figure 1: Our CNN takes input from multiple images of the inside and outside of a home and outputs a predicted price using Keras and regression. The dataset we’re using for this series of tutorials was curated by Ahmed and Moustafa in their 2016 paper, House price estimation from visual and textual features. As far as I know, this is the first publicly available dataset that includes both numerical/categorical attributes along with images. A total of 535 houses are included in the dataset, therefore there are 535 x 4 = 2,140 total images in the dataset. We’ll be pruning that number down to 362 houses (1,448 images) during our data cleaning. That single command will download both the numerical/categorical data along with the images themselves. Make note of where you downloaded the repository on the disk (I put it in my home folder) as you’ll need to supply the path to the repo via command line argument later in this tutorial. For more information on the house prices dataset please refer to last week’s blog post. We will be updating both datasets.py and models.py from last week’s tutorial with additional functionality. Our training script, cnn_regression.py , is completely new this week and it will take advantage of the aforementioned updates. 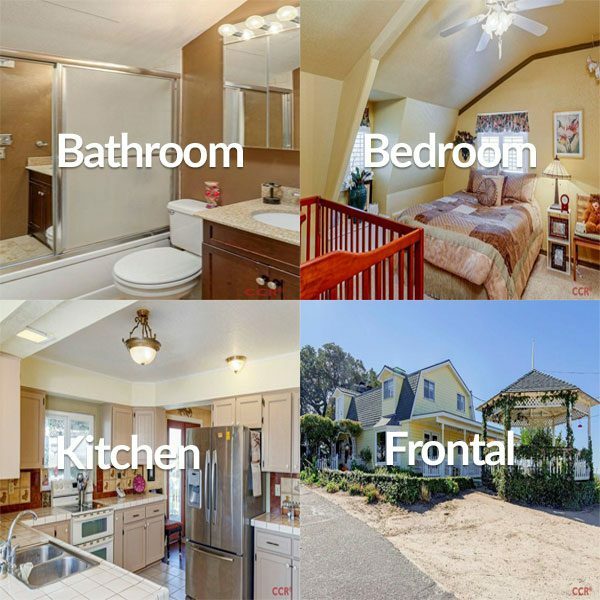 Figure 2: Our CNN accepts a single image — a montage of four images from the home. Using the montage, our CNN then uses regression to predict the value of the home with the Keras framework. But how are we going to use these images to train our CNN? The first option is a poor choice — we’ll have multiple images with the same target price. If anything we’re just going to end up “confusing” our CNN, making it impossible for the network to learn how to correlate the prices with the input images. The second option is also not a good idea — the network will be computationally wasteful and harder to train with four independent tensors as inputs. Each branch will then have its own set of CONV layers that will eventually need to be merged into a single output. Instead, we should choose the third option where we combine all four images into a single image and then pass that image through the CNN (as depicted in Figure 2 above). This tiled image will then be passed through the CNN using the house price as the target predicted value. df : The houses data frame. inputPath : Our dataset path. Using these parameters, we proceed by initializing a list of images that will be returned to the calling function, once processed. Construct the basePath to the four images for the current index (Line 67). Use glob to grab the four image paths (Line 68). The glob function uses our input path with the wildcard and then finds all input paths that match our pattern. Initialize our inputImages list and allocate memory for our tiled image, outputImage (Lines 72 and 73). Create a nested loop over housePaths (Line 76) to load each image , resize to 32×32, and update the inputImages list (Lines 79-81). Tile the input images using NumPy array slicing (Lines 87-90). Update images list (Line 94). Once the process of creating the tiles is done, we go ahead and return the set of images to the calling function on Line 97. Figure 3: If we’re performing regression with a CNN, we’ll add a fully connected layer with linear activation. Let’s go ahead and implement our Keras CNN for regression prediction. Our create_cnn function will return our CNN model which we will compile and train in our training script. width : The width of the input images in pixels. height : How many pixels tall the input images are. depth : The number of channels for the image. For RGB images it is three. filters : A tuple of progressively larger filters so that our network can learn more discriminate features. regress : A boolean indicating whether or not a fully-connected linear activation layer will be appended to the CNN for regression purposes. The inputShape of our network is defined on Line 29. It assumes “channels last” ordering for the TensorFlow backend. Our model inputs are defined on Line 33. From there, on Line 36, we loop over the filters and create a set of CONV => RELU > BN => POOL layers. Each iteration of the loop appends these layers. 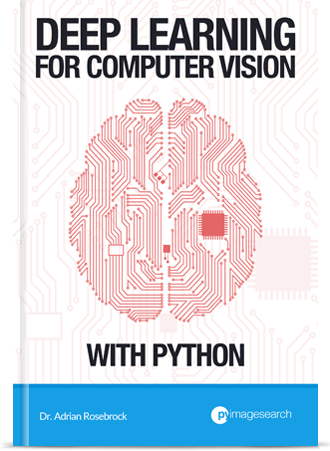 Be sure to check out Chapter 11 from the Starter Bundle of Deep Learning for Computer Vision with Python for more information on these layer types. We Flatten the next layer (Line 49) and then add a fully-connected layer with BatchNormalization and Dropout (Lines 50-53). Another fully-connected layer is applied to match the four nodes coming out of the multi-layer perceptron (Lines 57 and 58). On Line 61 and 62, a check is made to see if the regression node should be appended; it is then added it accordingly. Finally, the model is constructed from our inputs and all the layers we’ve assembled together, x (Line 65). We can then return the model to the calling function (Line 68). Now that we’ve implemented our dataset loader utility function along with our Keras CNN for regression, let’s go ahead and create the training script. The imports for our training script are taken care of on Lines 2-9. Most notably we’re importing our helper functions from datasets and models . The locale package will help us with formatting our currencies. From there we parse a single argument using argparse: --dataset . This flag and the argument itself allows us to specify the path to the dataset from our terminal without modifying the script. Our inputPath on Line 20 contains the path to our CSV file containing the numerical and categorical attributes along with the target price for each home. Our dataset is loaded using the load_house_attributes convenience function we defined in last week’s tutorial (Line 21). The result is a pandas data frame, df , containing the numerical/categorical attributes. The actual numerical and categorical attributes aren’t used in this tutorial, but we do use the data frame in order to load the images on Line 26 using the convenience function we defined earlier in today’s blog post. We go ahead and scale our images’ pixel intensities to the range [0, 1] on Line 27. Then our dataset training and testing splits are constructed using scikit-learn’s handy train_test_split function (Lines 31 and 32). Again, we will not be using the numerical/categorical data here today, just the images themselves. The numerical/categorical data is used in part one (last week) and part three (next week) of this series. Scaled the house prices to the range [0, 1] based on the maxPrice (Lines 37-39). Performing this scaling will lead to better training and faster convergence. Created and compiled our model using the Adam optimizer (Lines 45-47). We are using mean absolute percentage error as our loss function and we’ve set regress=True indicating that we want to perform regression. Kicked of the training process (Lines 51 and 52). Now let’s evaluate the results! Make predictions on test data (Line 56). Compute absolute percentage difference (Lines 61-63) and use that to derive our final metrics (Lines 67 and 68). Display evaluation information in our terminal (Lines 72-75). Don’t be fooled by how succinct this training script is! There is a lot going on under the hood with our convenience functions to load the data + create the CNN and the training process which tunes all the weights to the neurons. To brush up on convolutional neural networks, please refer to the Starter Bundle of Deep Learning for Computer Vision with Python. Ready to train your Keras CNN for regression prediction? Configured your development environment according to last week’s tutorial. Used the “Downloads” section of this tutorial to download the source code. Downloaded the house prices dataset using the instructions in the “Predicting house prices…with images?” section above. Our mean absolute percentage error starts off extremely high, in the order of 300-2,000% in the first ten epochs; however, by the time training is complete we are at a much lower training loss of 30%. The problem though is that we’ve clearly overfit. While our training loss is 30% our validation loss is at 56.91%, implying that, on average, our network will be ~57% off in its house price predictions. How can we improve our prediction accuracy? Overall, our CNN obtained a mean absolute error of 56.91%, implying, that on average, our CNN will be nearly 57% off in its predicted house value. That’s a pretty poor result given that our simple MLP trained on the numerical and categorial data obtained a mean absolute error of 26.01%, far better than today’s 56.91%. Does it mean that CNNs are ill-suited for regression tasks and that we shouldn’t use them for regression? Actually, no — it doesn’t mean that at all. Instead, all it means is that the interior of a home doesn’t necessarily correlate with the price of a home. For example, let’s suppose there is an ultra luxurious celebrity home in Beverly Hills, CA that is valued at $10,000,000. Now, let’s take that same home and transplant it to Forest Park, one of the worst areas of Detroit. In this neighborhood the median home price is $13,000 — do you think that gorgeous celebrity house with the decked out interior is still going to be worth $10,000,000? There is more to the price of a home than just the interior. We also have to factor in the local real estate market itself. There are a huge number of factors that go into the price of a home but by in large, one of the most important attributes is the locale itself. Therefore, it shouldn’t be much of a surprise that our CNN trained on house images didn’t perform as well as the simple MLP trained on the numerical and categorical attributes. Is it possible to combine our numerical/categorical data with our image data and train a single end-to-end network? And if so, would our house price prediction accuracy improve? I’ll answer that question next week, stay tuned. In today’s tutorial, you learned how to train a Convolutional Neural Network (CNN) for regression prediction with Keras. Replacing it a fully-connected layer with a single node along with a linear activation function. Training the model with continuous value prediction loss function such as mean squared error, mean absolute error, mean absolute percentage error, etc. What makes this method so powerful is that it implies that we can fine-tune existing models for regression prediction — simply remove the old FC + softmax layer, add in a single node FC layer with a linear activation, update your loss method, and start training! 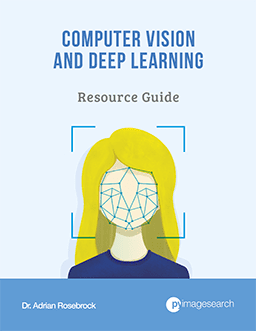 If you’re interested in learning more about transfer learning and fine-tuning on pre-trained models, please refer to my book, Deep Learning for Computer Vision with Python, where I discuss transfer learning and fine-tuning in detail. In next week’s tutorial, I’ll be showing you how to work with mixed data using Keras, including combining categorical, numerical, and image data into a single network. To download the source code to this post, and be notified when next week’s blog post publishes, be sure to enter your email address in the form below! Hey Adrian, thanks for the great post! Quick question about your image montage technique – do you think you would have ended up getting better accuracy with multiple inputs instead of a montage, even though the computational complexity is higher? My intuition is that the filters that the convnet would be learning would optimally be quite different for frontal vs interior views. By combining images into a montage, wouldn’t this force the same filters to be used instead, potentially decreasing potential for generalization? Hey Eddie — I would encourage you to run the experiment for yourself and examine the results. When I was writing the code, as a sanity check, I ran an experiment where I did not create the montage and instead allowed each of the four images for each house to be passed through the network independently. The results were far worse. The reasoning here is a CNN may learn filters that are really good at predicting the price of a bathroom — but those same learned filters may be extremely poor at predicting a house price from a bedroom image. You could even run into a case where a network even overfits to one of the four image classes. Instead, what we do is create a tiled montage of all four house images. Some filters may activate for expensive looking features in the bedroom. Others could activate for features that look expensive in a frontal view. The result is that all of these expensive vs. inexpensive activations can be correlated together since all four images were passed into the network at the same time, leading to higher accuracy than just supplying the images independently, one at a time (where you wouldn’t have this correlation across all four images). There is a fourth option for dealing with multiple images as input: use a shared encoder. This solves the problem of degraded representational power (and therefore also wasted computation and memory) while ensuring that your inputs are still sane and everything we understand about image networks is still valid. This is easy to do with keras if you simply create the layer object first (encoder = Conv2D(…)) and then use it multiple times later (output1 = encoder(input1), output2 = encoder(input2), …). The rest is as you would have done without shared weights where you merge via whatever strategy you want (concat, add, etc.). Great point Had, thanks for sharing! P.S. I am curious to know if feature extraction would work well for this problem set. Thanks David! I must have missed that debug statement. I’ve uploaded a new .zip file that corrects the issue. Thanks again! So I took the hint you made at the end of this blog and attempted to fine-tune a pre-trained network (it happened to be a 128×128 MobileNet from keras). After a little bit of struggle I managed to train the new head and was seeing an error rate of around 48%. Which is a nice improvement. I suspect further improvements will require working around the limitations of the dataset as much as any architectural improvements. Thanks again for the great blog post! Yes, you’re absolutely right — future improvements for this particular problem are more rooted in the limitations of the dataset we used here today rather than the architecture used. 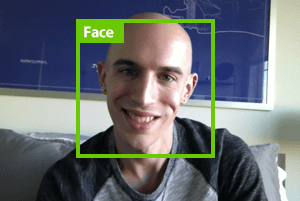 That said, we’ll be able to edge out a bit more accuracy when we combine the categorical, numeric, an image inputs together into a single end-to-end network. I datasets.py on line 70, did you mean to leave that there? Man, I should read the comments before commenting. LOL. My bad. It was my fault for having that in there in the first place. The new download of the .zip does not. That tiling technique is clever. What would you do if you had a variable number of images per item (including only one in some cases) and they did not fall into a consistent set of categories? Really Adrian I’ve learned so much thanks to you, you are pure love (ﾉ◕ヮ◕)ﾉ*:･ﾟ✧, but one question, will you teach us Generative Adversarial Networks (GANs)? (or if you already did it, tell me please where), and how they works?, I’ve searched in the internet, but I can’t understand the info I’ve founded. I think you explain in a simple way and with your explanations I can star to go deeper, Thanks!!! Thanks Antonio, I appreciate that. 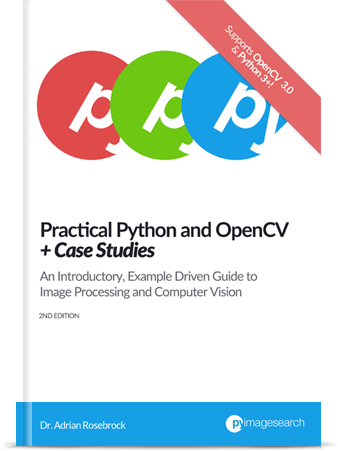 I actually cover GANs inside the Practitioner Bundle my book, Deep Learning for Computer Vision with Python. I would suggest starting there! It’s a hyperparameter that you can tune. Smaller batch sizes mean more updates per epoch. Larger batch sizes mean less updates per epoch. Each time there is a weight update there is a chance for your network to “learn” and improves its results. However, there is a tradeoff to consider. If your batches are very large your network may not have enough changes to learn. If your batches are too small then training may take longer due to the number of backpropagation steps. Typically you set your batch size as a power of 2. For small datasets you’ll use a batch size of 8, 16, of 32. For large datasets, in the order of hundreds of thousands to millions of images, you’ll use a batch size of the maximum number (of power of 2) images your GPU can handle. Thanks a lot: I begin to understand why things were somewhat faster when I increase (8->18 ->28) batch size in the previous example (house prices with 4 variables, not 4 images…). And I was lucky enough to get same results (in termes of mean average relative absolute error). And I missed that batch size would increase RAM greediness…. thanks for hinting this feature. Should one train with the log(x+1) as target where x is the price? Objective function in the examples given here is minimizing the absolute sum of a relative error. (target is not only the thing to be considered; objective function is important, too) . Maybe log(x+alpha) would be a good target, objective function being mean absolute error ; but people who buy houses seldom remember log values; an 20% increase/decrease has some meaning for them). I would suggest you try that as an experiment and note your results. Do results improve after log scaling? Run your own experiments and examine the results — it’s one of the best ways to learn. Do you have any recommendations on how to deal with datasets where the number of pictures for each house can vary? I have seen houses on sale online showing from just 1 to around 60 pictures. What should I do if I wanted to try your architecture on this kind of data? For this exact tutorial you would need select the four images for the kitchen, bedroom, bathroom, and frontal view of the house. However, an experiment worth running would be to create an MxN grid of all images for your house. Any empty spaces in the grid, meaning that there is no image of the house, could be left black. From there, tile all your images and train a CNN. The problem here is that you could end up with a very large input image if you don’t make your tiles small enough. But if you make them too small you might lose too much detail. Again, it would be an experiment worth running. Nice and clear tutorial! Thanks! But I can’t figure our how the cnn model is related to the MLP model? Did i miss anything? That comment will make *a lot* more sense when you read next week’s tutorial on combining a CNN and MLP into a single end-to-end architecture. I wrote the code for the entire project first before I wrote the tutorials, hence why that comment is in there. Hey dr, thank you very much for your great guide. Thanks, I’m glad you’re enjoying the tutorials! Hi. 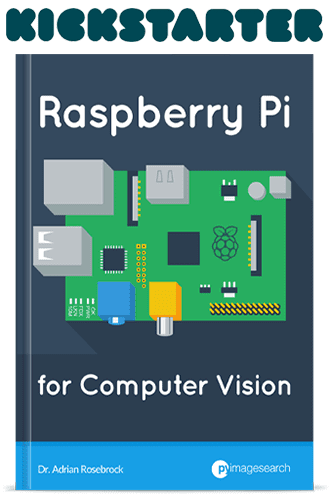 I’ve been reading your posts since my last semester for my computer vision paper, and these have really helped a lot! I’ve been trying to follow this series to make use of regression for a project. And I’ve been stuck at a place. I was wondering if I could find some help here. I have read that CNN classification can use ImageDataGenerator to correctly feed the train and test data, however it’s format is unsuitable for the given dataset. If I make a numpy array of “all” (there’s quite a few of those) the images, and another one for the corresponding target values and feed them as parameters for the ‘model.fit’, will it work or pose some computation issues? Have you tried following this tutorial to see how the ImageDataGenerator class can be used to load images from an input directory? That would be my suggestion. I want to do regression without combining some photo just with single image how should I do it? I have 4 classes and I want just do the regression for these classifications is it possible? Just remove the code where the montage is formed. Return the original image via “cv2.imread”. If you need more help training your own custom CNNs I would suggest reading through Deep Learning for Computer Vision with Python where I cover the topic in more detail. Be sure to take a look! could you send the tutorial for Combining categorical, numerical, and image data into a single network (next week’s tutorial). The tutorial is already online and has been since February 4th. You can find it here. how shall i apply the input? and how shall i call method.predict(),please can u write me down the code? Thanks for this fantastic tutorial. I am trying to develop a CNN (in Python) that predicts multiple continuous variables, and am having trouble importing the images in a format that is acceptable as input to a CNN. I can’t seem to find any examples online of people importing raw images for this kind of task; most programs seem to be for classification and use ImageDataGenerator which is not applicable for my problem. Any help would be greatly appreciated. What do you mean by “raw images”? How are your images different than the images we used in this tutorial?